This is a fun time of year before weddings kick off in full swing, where vendors and creatives come together to showcase their work in a collaborative way. I had the privilege of connecting with these lovely ladies (and gentlemen - Neil of Barnes Farmhouse Tables! and Mark, events manager!) 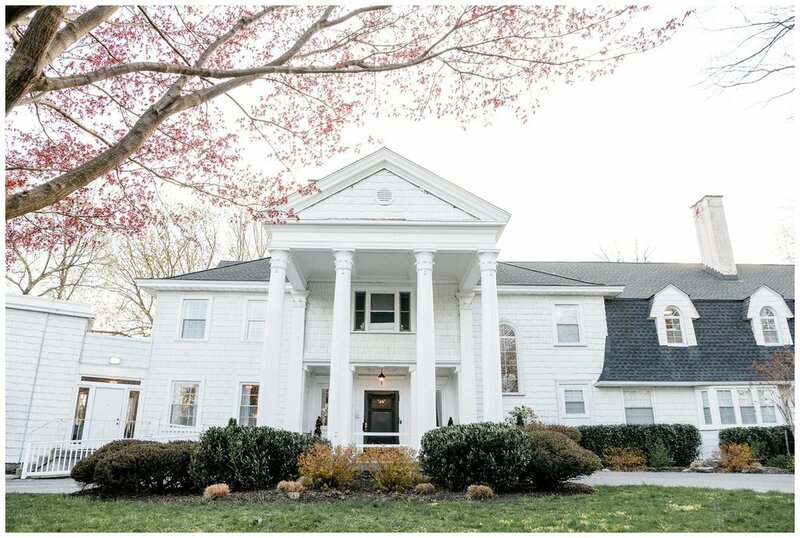 at Overhills Mansion in Catonsville, Maryland to highlight ways holiday hosts could set their Easter table or springtime setting for a gathering… particularly dessert. Jenna and Elizabeth of Little Bit Heart created this whimsically sweet invitation for us! They’re so talented and have such a fresh fun style. I gave them my vision and they executed it perfectly! Meet Alyssa of Rogue Petal Co! She just started her faux floral company after designing the flowers for her own wedding, and is off to such an amazing start! She’s driven, full of ideas, and juuust a touch of edge to make your vision unique and not completely like all of the others… I swear I had no clue the flowers on her Instagram feed were faux at first… She’s definitely taking the whole faux flower thing to a new level! She’s awesome, definitely check her out! Marcie Lenick, of Celebrating Love by Marcie, is, what I like to call, the fairy godmother of styling. Whatever you need, she’s got it, and knows just how to make it look beautiful. Marcie styled Tyler’s and my vow renewal and we were completely blown away by what she put together for us. Plus, she’s just so kind and giving, focuses on each of her couples and projects as if they were the only thing she was working on. And this is Allie of Bramble Baking Co. If you ordered your cake from a magical woodland pixie, her cake is what you’d get. 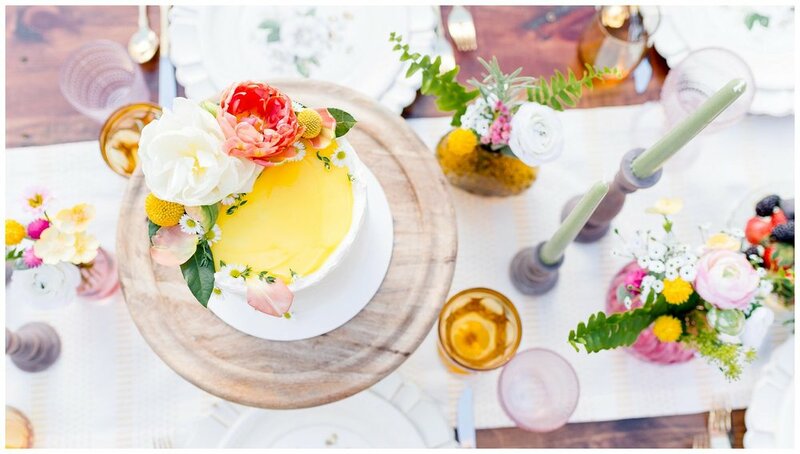 I’m totally in love with her style and the way she not only decorates her cakes and pies, but the botanical and nature-inspired combination of ingredients and perfectly balanced flavors… She’s down to earth and just so talented! Missy and Neil, owners of Barnes Farm Tables are simply wonderful people! Neil brought his handmade farm table and chairs for us to use for the shoot. 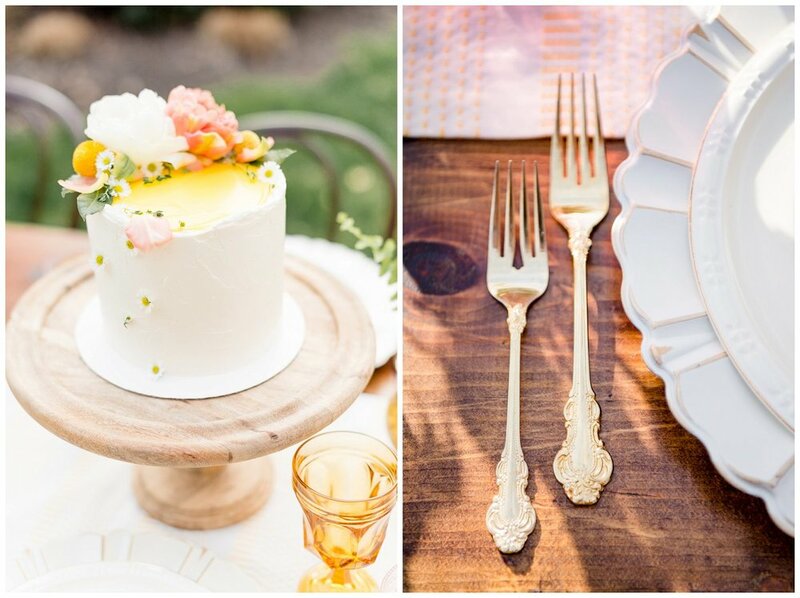 If you remember when I hosted my sister-in-law’s bridal shower back in the late summer last year, I used their tables and chairs and just fell in love with the quality, their responsiveness, and customer service! They delivered and set up everything for us, and made sure we were completely satisfied. They have a wide variety of tables and chairs to choose from also! 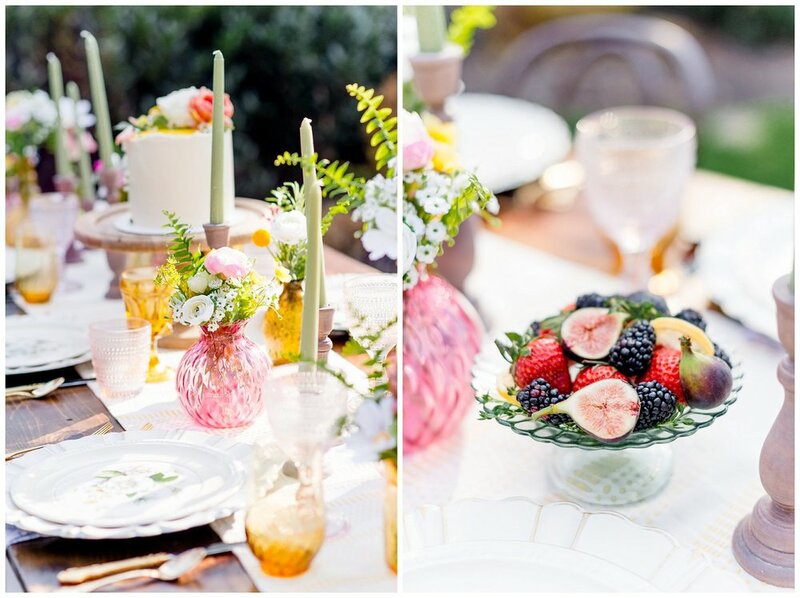 Once the table was set and all of the girls had finished their touches, it was time for me to pop in and shoot! After I’d captured each detail, it was time for Allie to cut the cake for us… It was amazing! Follow along with our vendors on social media!